If you have been involved in a car accident and now have to attend a personal injury deposition, there are some helpful tips that you should know before arriving. Answering questions at a deposition can be an intimidating process, however, there are methods that can make the process less stressful. Knowing what to expect on the day of deposition and preparing adequately is ultimately in your best interests. Depositions are part of the pre-trial discovery process involved in litigation. Each side to a lawsuit is allowed to depose the other party and witnesses before going to trial. Each side’s attorney will ask a series of questions under oath to the person being deposed, and each answer will be recorded by an official court reporter. Testimony given at deposition is important for counsel. 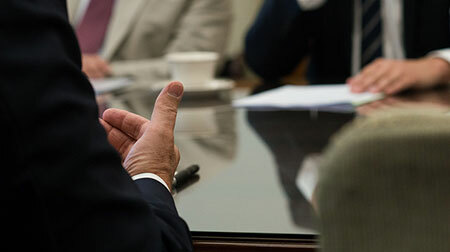 Depositions allow attorneys to ensure that there will be no surprises in court. At a deposition, an attorney is allowed to gather information about the testimony that will be given in court by asking the same or similar questions that will be asked at the time of trial. The process allows for the attorney to gather evidence and to have testimony on record that can be used to impeach a witness at trial if he or she later changes a response. A deposition does not take place in a courtroom. A deposition will usually be taken at an attorney’s office. A series of questions will be asked by an attorney about the facts and events related to the lawsuit. Each question and answer will be recorded by a court reporter. The amount of time a deposition can take varies greatly, from less than 30 minutes to multiple days, if necessary. Preparation – If attending a deposition, it is in your best interests to be represented by an attorney. An attorney can help prepare you for the questions that may be asked at the deposition, so you are prepared to give a truthful answer that benefits your case. It can be helpful to revisit the scene of the accident to refresh your mind of what happened, and where exactly it happened, before being asked at a deposition. Before a deposition, it is common to provide the opposing party answers to questions through written interrogatories. Any information provided to opposing counsel before the deposition, including answers to interrogatories, should be revisited to make sure that your verbal responses match your written ones. Listen and Understand – It’s important to actively listen to each question to ensure you can provide a proper response. If you are unclear about any part of the question, ask for clarification before providing an answer. Also, always examine any documents that are presented to you at the deposition before answering any related questions. Honesty – Telling the truth during a deposition is important. Trying to give the “right answer” when it is not true will not help you in the end, and you will be lying under oath. Under Texas Statute, a person commits perjury if they knowingly make a false statement under oath. Under Texas Statute, committing perjury is a class A misdemeanor. Only Answer the Question Asked – Answer the question as precisely as possible, but do not provide additional information. Limit your answers to precise statements. Opposing counsel will ask broad questions in hopes that more information and evidence will be shared than needed. Don’t volunteer information that wasn’t requested. Don’t Speculate on Answers – An attorney may ask you to speculate on the events and happenings of the car accident. Never answer a question by speculating what the answer could or should be. If you do not know the answer to a question by your own knowledge, then you should not provide an answer. Don’t Be Scared to Say “I Don’t Know.” – If you don’t know the answer to the question or cannot remember the timing or a particular fact, don’t be afraid to make this known. Don’t Guess – Again, if you don’t know the answer to the question, don’t give an answer. Any attempts to guess the correct answer may not be in your favor. Mistakes Happen – If you make a mistake it is okay. Stay calm and revisit the question. Ask to go back to the previous question and tell them that you misspoke and clarify your answer. No Jokes – Don’t try to joke when answering or use sarcasm. Stay Calm – Don’t lose your temper or get frustrated when answering, no matter how combative the opposing counsel is. Let your attorney object to inappropriate questions or actions by opposing attorney. Depositions are a necessary evil, but with adequate preparation the process can proceed without issue. To speak with a car accident attorney at Sutliff & Stout about your case, please call or text (281) 853-8446 anytime, 24/7. We look forward to serving you.